As teachers, we’re constantly being told to implement 21st Century Skills and the “4Cs” (critical thinking, communication, collaboration, creativity). However, beyond that, we frequently aren’t sure where to begin. To tackle each of the “Cs,” one of my favorite activities to do with my 7th grade science classes is a Socratic Seminar. Although Socratic Seminars take some preparation for both the teacher and the students, the outcome is well worth the effort! The goal is to get students to dive deep into what you’ve covered in class and think critically about the topic at hand. My role as the facilitator is to silently watch the discussion from outside both circles. I make notes on who participates, who refers to the text and/or classroom activities as evidence, and I silently redirect students who get distracted. I also give instructions when we rotate jobs. During the discussions — as much as I want to — I don’t chime in! To prepare for a Socratic Seminar, we read at least two articles in class on a topic. 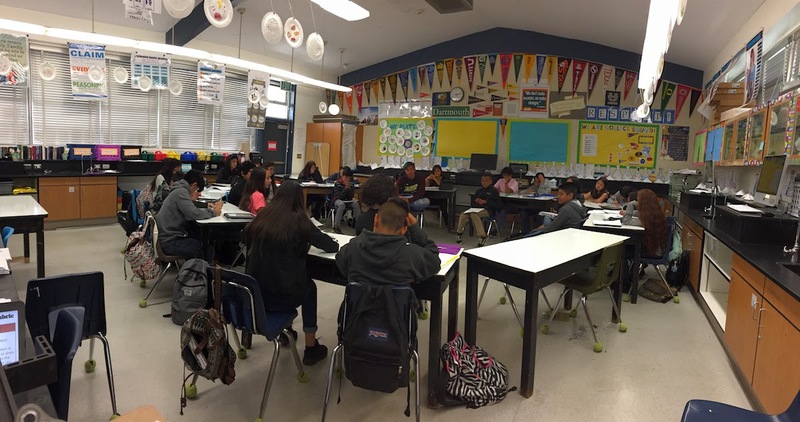 Our most recent Socratic Seminar was on the human impact on ecosystems. First, I provide students with a few open-ended questions a day or so before the seminar, and have them brainstorm their responses. 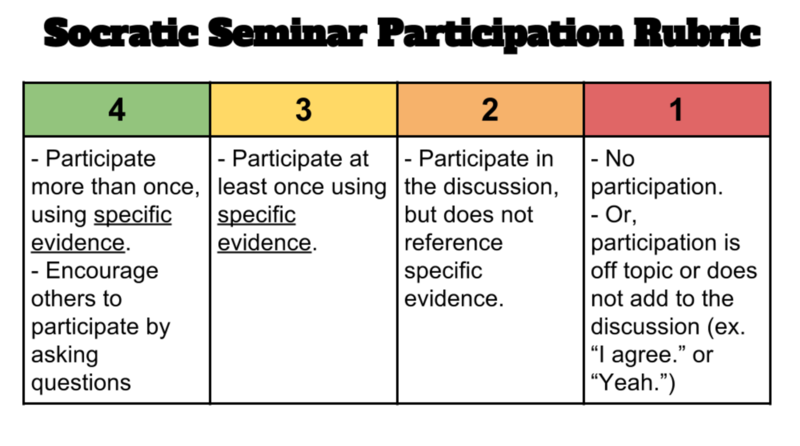 Each student receives a paper copy of the “Socratic Seminar Preparation & Student Handout” to prepare (make a copy here). You’ll notice there is a blank page in the middle. This is intentional. When printing & copying back-to-back, this ensures that the two observation sheets are single-sided. I also ask students to write out a few of their own “Higher Level” questions that they can ask the class. Person A sits in the inner circle, and the other two teammates, Persons B & C, sit in the two chairs directly behind Person A.